Somalia On The Brink Of Famine, U.N. Warns : The Two-Way The U.N. is warning that Somalia could soon be facing a famine without urgent international action, raising concerns of a repeat of 2011's famine which killed more than a quarter of a million people. Drought in Somalia has severely affected livestock for local herdsmen, as well as farmers' crops. The U.N. says action is needed to prevent famine in the region. The United Nations is warning that Somalia could soon be facing a famine without urgent international action, raising concerns about a repeat of 2011's famine which killed more than a quarter of a million people. The country is in a severe drought after two seasons of weak rainfall, the U.N. said in a statement. "In the worst affected areas, inadequate rainfall and lack of water has wiped out crops and killed livestock, while communities are being forced to sell their assets, and borrow food and money to survive," the U.N. says. "If we do not scale up the drought response immediately, it will cost lives, further destroy livelihoods, and could undermine the pursuit of key State-building and peacebuilding initiatives," said the Humanitarian Coordinator for Somalia, Peter de Clercq. The number of people in need of assistance is rising rapidly. In September, that figure was at 5 million people – now, it's over 6.2 million. There are growing concerns about the possible human toll, but de Clercq emphasized that at this point, famine is not a foregone conclusion. "A drought — even one this severe — does not automatically have to mean catastrophe if we can respond early enough with timely support from the international community," he said. The U.N. Food and Agriculture Organization's Somalia representative, Richard Trenchard, pointed out some of the warning signs: "Labour prices are collapsing; local food prices are rising; food availability is becoming patchy; animal deaths are increasing; and malnutrition rates are rising, especially among children." 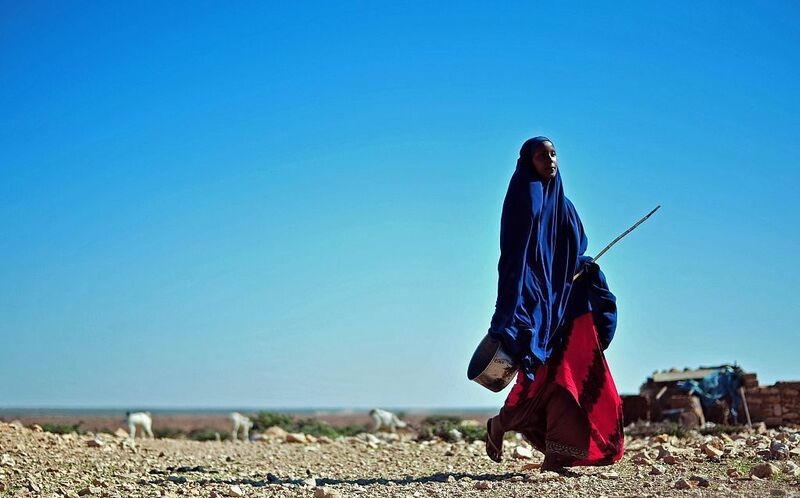 Conditions are particularly severe in the rural area of Puntland, he said. "Consider Somalia, a country that's been mired in war and chaos for more than two decades. When [the U.S. government's Famine Early Warning Systems Network] declared famine there in 2011, aid money poured in, as did television cameras. The famine was quickly defeated. "But by the time the Somali famine was officially declared, at least half of its 260,000 victims had already died. So by the time conditions become so dire that they warrant the famine label, it can be too late." Somalia also faces regular militant attacks from the al-Qaida-linked al-Shabab group. The country is currently going through a historic political process. It has sworn in a new Parliament and is in the process of planning presidential elections.